The issues here are twofold, how to implement this in plain SQL, and what to define for Revenue for the omissions. Here we could state that the revenue is undefined, so in this case the first period is not available. Alas, this is not always the correct result. All these kinds of queries only work correctly when the different tables have aligned their timelines (have the same start and end dates for each key). For the end date this works ou as long am 'high end date' is used. For start dates additional records need to be created with empty/default/null values to align on a 'low start date' (say 1753-01-01). These types of queries work in Both Oracle, Teradata and SQL Server. 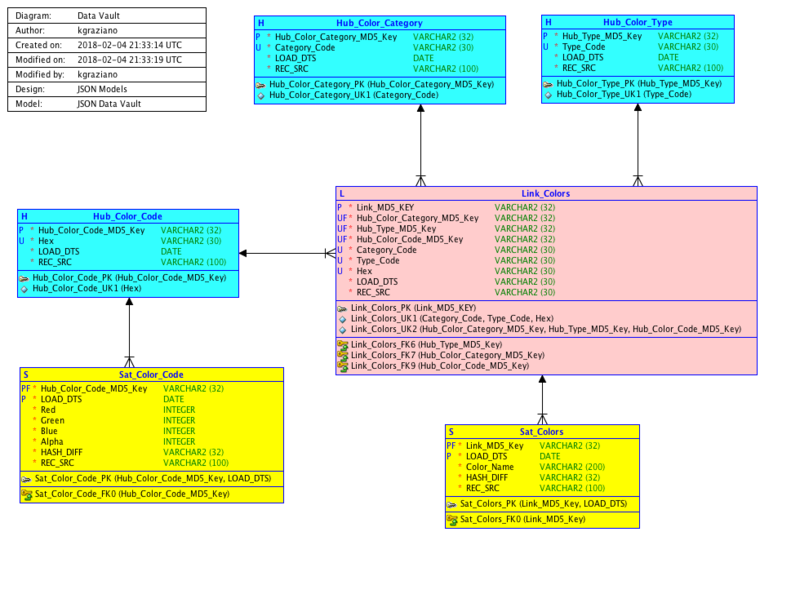 In Oracle and Teradata these queries can be used because the functions greatest and least are defined. In SQL Server however this is not the case. 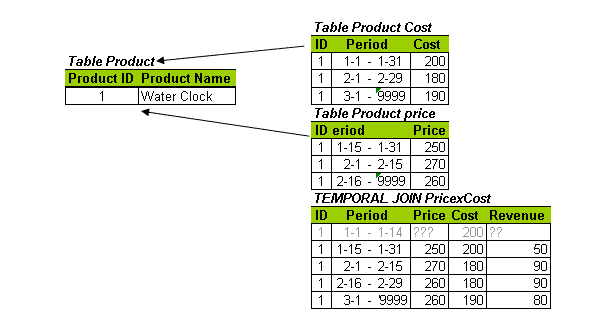 To create this type of query in SQL Server we need both a Least and Greatest function. we can either code a .NET assembly for this, or an user defined function. Alas the udf won't perform at all. A trick here is to rewrite a scalar udf to an inline view udf. These will get optimized and peform OK. We only need to (CROSS) APPLY them to the query to get our wanted result. One of the issues here is that you cannot use the helper functions in indexed views, you need to substitue the case statement, and duplicate it both in the select and where clause. Here are the SQL Server helper functions greatest and least and their usage pattern.